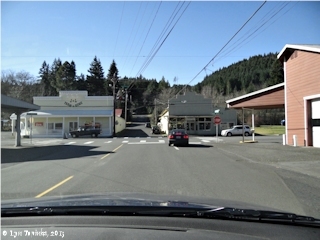 "Carson and Carson Hot Springs, Washington"
Click image to enlarge Carson, Washington, as seen from front window of car. Image taken February 15, 2013. 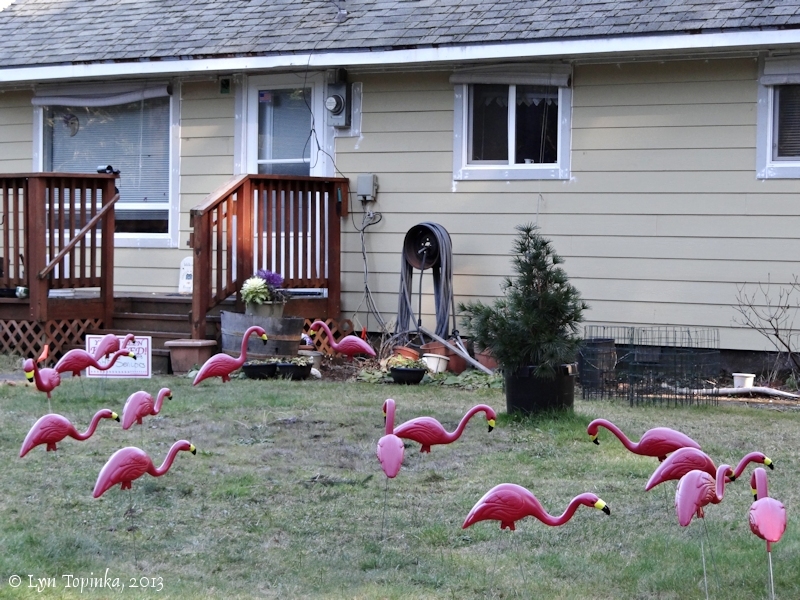 The small community of Carson, Washington, is located on the east bank of Carson Creek and the west bank of the Wind River, a little over one mile upslope from the Columbia River, at Columbia River Mile (RM) 154. The Carson area was settled in the late 1870s and early 1880s with sawmills being built using the waters of Carson Creek. Lewis and Clark passed by this area on October 30, 1805, calling the Wind River the "New Timbered river", after all the ash trees on its banks. 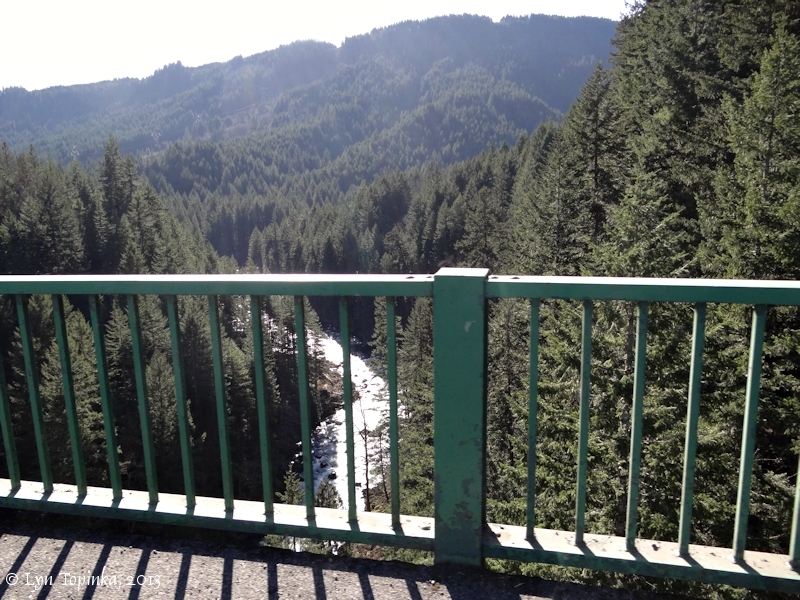 Carson Creek lies on the west side of the community of Carson and enters the Columbia at River Mile (RM) 153.5. 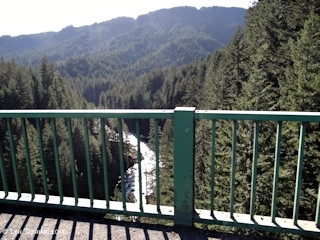 Downstream is Souther Creek, Nelson Creek, Kanaka Creek, and the community of Stevenson. Upstream is the Wind River. The U.S. Bureau of Land Management's 1878 cadastral survey map (tax survey) for T3N R8E, shows Carson Creek but does not name it. On October 29, 1805, Lewis and Clark passed by the Carson area and called today's Wind River the "New Timbered river" after the abundant Oregon Ash trees. The Carson area was settled in the late 1870s and early 1880s with sawmills being built using the waters of Carson Creek. There are two versions of how Carson was named. 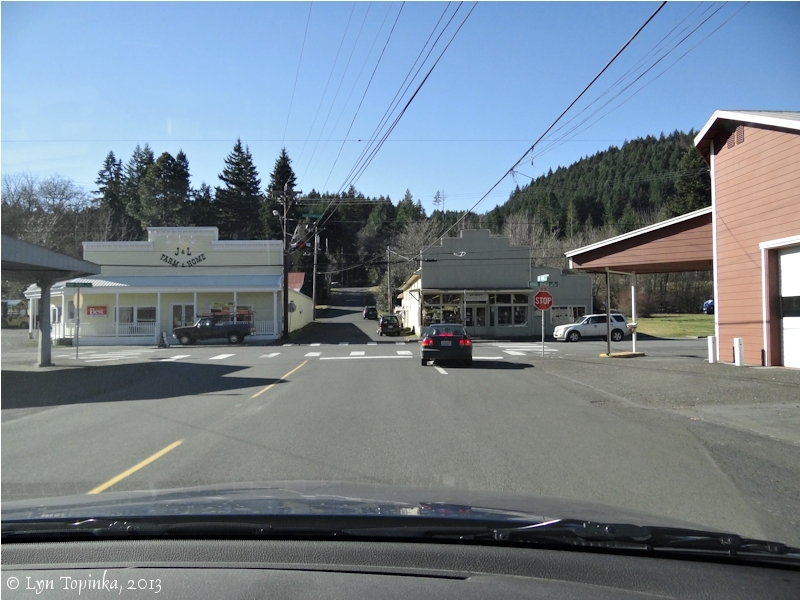 "Carson, a town in Skamania County. The town derived its name from a creek of the same name. It is said that the name is a corruption from the name of Katsner. (Postmaster, in Names MSS.,, Letter 406). A former name was "Ash," as Lewis and Clark there found the first ash timber of the West. 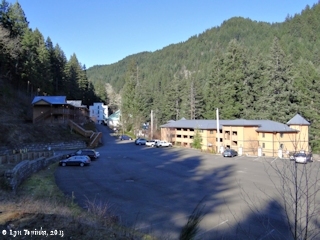 The place is becoming famous from the Carson Hot Springs. (L.C. Gilman, in Names MSS., Letter 590)." Robert Hitchman in "Place Names of Washington" (1985, Washington State Historical Society) gives the same version. "... Settlement on Carson Creek, 1 mile north of Columbia River, south central Skamania County. It was named for Carson Creek, which is said to be a corruption of "Katsner, the name of a pioneer. ..."
"... 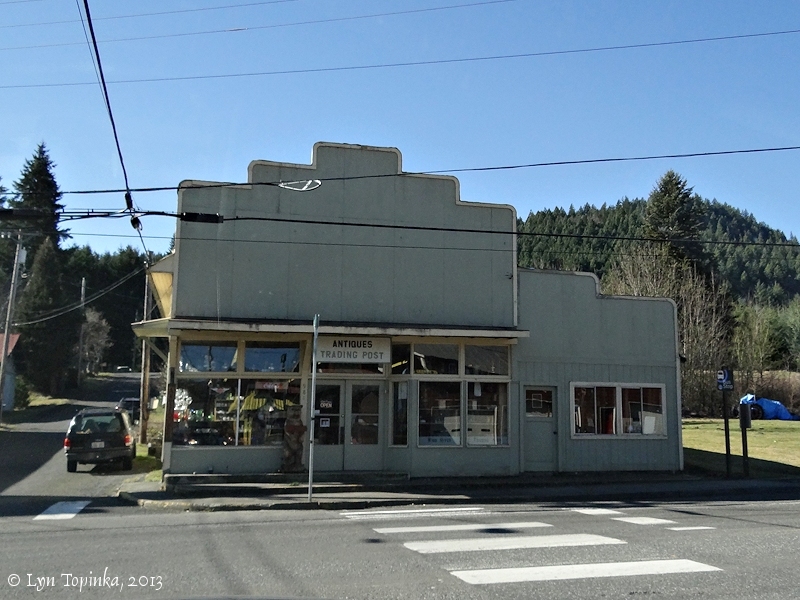 Prior to 1893, the nearest store and postoffice was at Cascade Locks, Oregon. To get there and back by rowboat was to say the least, very inconvenient. In that year, A.G. Tucker, an old bachelor, started a store in a miserable, tumble-down shack which was built by the sawmill company. The citizens of Carson applied for a postoffice and were granted a twice-a-week mail service. Mr. Tucker, an ardent admirer of Kit Carson, suggested the name "Carson" for the postoffice and the name was adopted without objection. 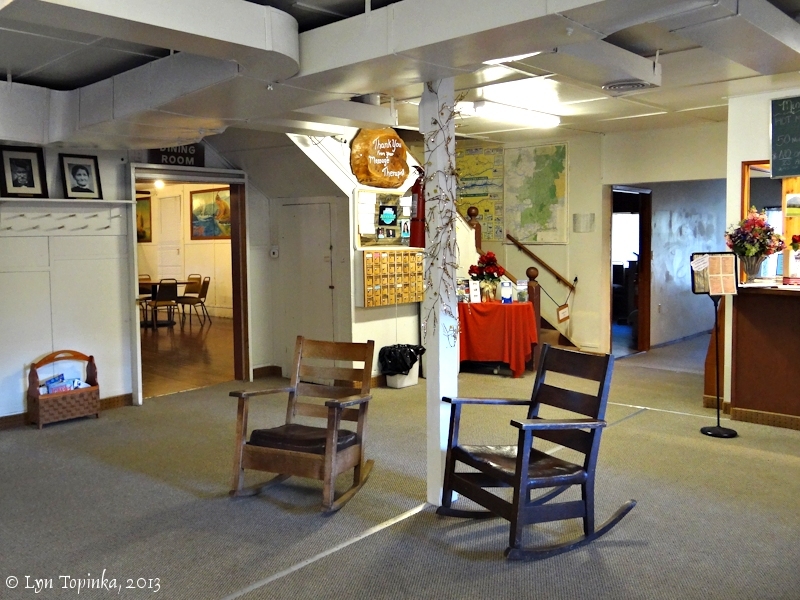 ... Before [there was] a postoffice ... Carson was known as "Sprague Landing". ..."
... by about 1910 the town of Carson boasted of 5 hotels, including St. Martins and Shipherds, 1 restaurant, 4 stores, 2 large livery barns, 1 blacksmith, 1 barber, 2 butchershops, 1 bakery, 1 weekly newspaper (for a short time only), 1 billiard hall and dance hall, a brass band, 2 schoolhouses, 1 church and when the railroad was built -- 7 saloons. Four of these saloons were in town, 1 was at Shipherd's Springs, 1 at St. Martin Springs and one near the steamboat landing. The building of the Northbank railroad in 1907 brought a land boom to the valley and uncleared stump and brush land sold for as much as $100 per acre on the lower flat. ..."
"Carson: ... A.C. Tucker had asked the Post Office for the name Casner to honor the first settler, but the government misspelled it "Carson". Earlier the area had been called Ash, because it was the first stand of ash trees seen by Lewis and Clark." 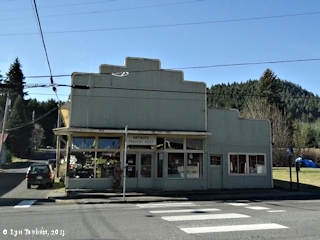 Click image to enlarge Street scene, Carson, Washington. View from front window of moving car. Image taken February 15, 2013. In 1876 Isadore St. Martin discovered a hot spring bubbling up among the rocks east of town and filed a homestead claim on the property. He developed the St. Martin Hotel and bathhouse, using the waters of the hot spring. 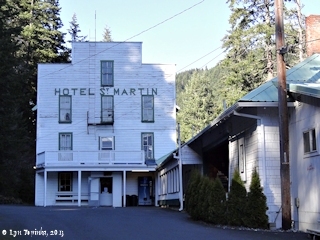 St. Martin's hotel is still in operation, today part of the Carson Mineral Hot Springs Golf and Spa Resort. Locally known as the "High Bridge", the Conrad Lundy Jr. Bridge crosses the Wind River north of the community of Carson. The deck truss bridge was built in 1957, was designed by the C.M. Corkum Company, and is 598.1 feet long and 25.9 feet wide. The bridge sits 260 feet above the surface of the water surface. Conrad Lundy was the County Commissioner at the time of the bridge's construction. The "High Bridge" is the 4th bridge to span the Wind River canyon north of Carson. The first bridge was built in 1890 and lasted two years. Next came a one-lane suspension bridge built in 1913. The 1913 bridge was replaced by a steel wire cable suspension bridge in 1925 which was in use until it was bypassed by the current bridge. The 1925 bridge was subsequently removed. In 2002 the Conrad Lundy Jr. Bridge was listed on the National Register of Historic Places (Architecture/Engineering, #02000326). Click image to enlarge Wind River from "High Bridge", Carson, Washington. View from moving car. The Conrad Lundy Jr. Bridge sits 260 feet above the Wind River. 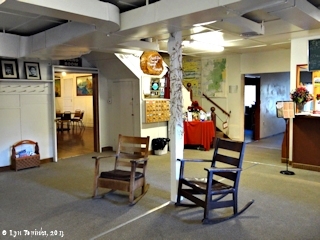 It was added to the National Register of Historic Places in 2002. Image taken February 15, 2013. 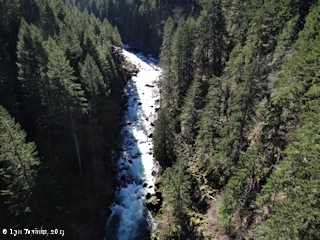 Click image to enlarge Wind River downstream, from "High Bridge", Carson, Washington. Image taken February 15, 2013. 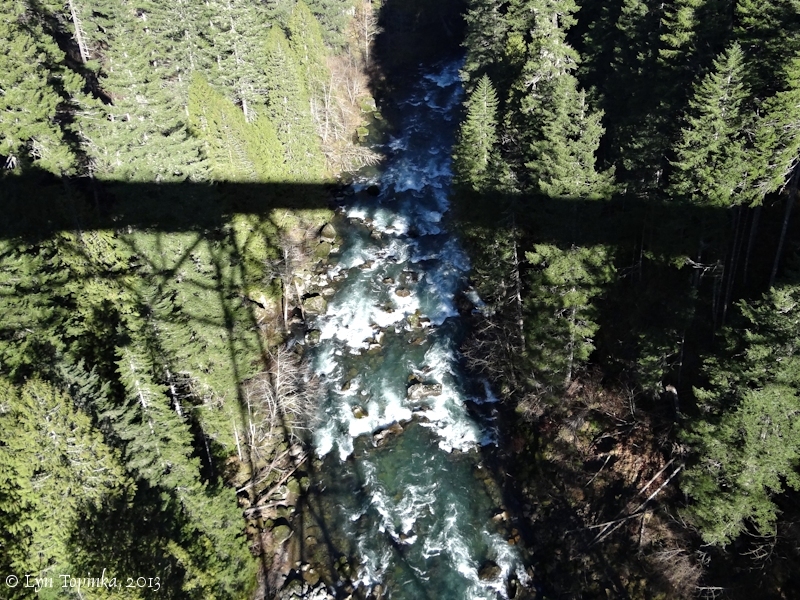 Click image to enlarge Wind River, upstream, from "High Bridge", Carson, Washington. Note shadow of bridge structure. Image taken February 15, 2013. "STEVENSON, Wash., April 17. 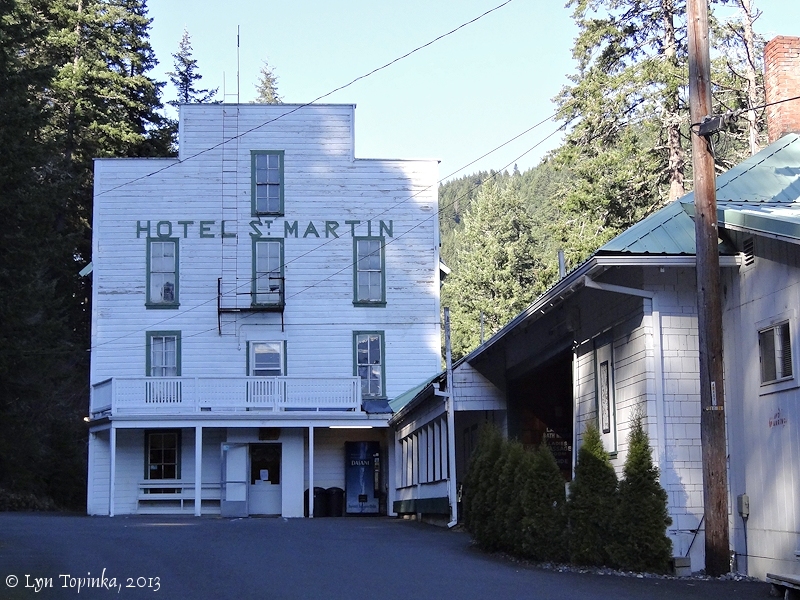 -- Isadore St. Martion, one of the owners of the St. Martin's hot springs, is under arrest on a charge of assault, and Perry Douglas, the complainant, is under the care of a physician and trained nurse at Carson, suffering from what may prove to be a fractured skull. Douglas was injured while employed as a structural ironworker by the Oregon Trunk railroad, and went to St. Martin's springs to recuperate. Day before yesterday, when a woman patient at the St. Martin hotel removed to Shipherd hot springs, Douglas carried her satchel over the hill. Returning from the Shipherd hotel Douglas was met by Isadore St. Martin. "Are you a friend of Ted Shipherd ?" asked St. Martin, referring to the owner of the rival hot springs. "No," answered Douglas. Whereupon, Douglas charges, St. Martin struck him over the head with a carpenter's iron plane, and began pummeling him with his fist. The blow from the plane nearly paralyzed Douglas, but he made his calls for help heard. He was taken to the Grand Trunk hotel at Carson. Sinch Shipherd established his rural health resort a short distance up Wind river from the St. Martin's springs several years ago, much animosity has been shown toward the newcomer by the St. Martins. In a quarrel over the respective merits over the waters of the two places some time ago, the elder St. Martion was killed by a man named Brown, who was a guest at the Shipherd place." 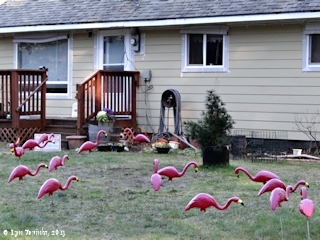 Source: "Morning Enterprise" (Oregon City, Oreg. ), May 18, 1912, courtesy Historic Oregon Newspapers Archives, University of Oregon Libraries, 2018. Shipherd Falls is a tiered falls located at Wind River Mile (RM) 2.0, just northeast of Carson, Washington.